WHY: I know I've beat this drum near about to death, y'all, but Richmond has it going on with regards to music. White Laces, who just so happen to be of Richmond, just so happen to illustrate how this just so happens to be factual. Alive with electricity and swagger and abandon, Moves is a whirlwind of glorious noise. 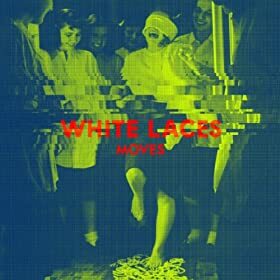 A little bit psych, a little bit shoegaze, a little bit post-punk, the breadth of the White Laces appeal is far-reaching. Sounds better the louder you play it. MY JAMS: "Trading" "Heavy Nights" "Parallel Chills"